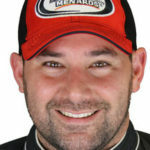 Sean Corr took his dirt modified experience and turned it into a regular gig in the ARCA ranks, making a name for himself at ARCA’s marquee Daytona event where he and his Empire Racing team finished a career-best fifth in 2013. Sean also earned the General Tire Pole at Daytona in 2012 and led the first 14 laps. He also led 16 laps at Daytona in 2018, and was leading on the last lap before he got caught up in a multi-car crash. He was also fastest in the year-end open test at Daytona in prep for the season opener in 2015. In his only full season on tour in 2011, he finished 9th in championship standings. In 46 career starts, he also finished 10th at Daytona in 2014, seventh at Madison in 2011, ninth at Iowa ’11, and 10th at Talladega ’12. Sean also finished 11th at Pocono ’13, 11th at Pocono twice ’11, 11th at Springfield ’11, 11th at DuQuoin ’11, 11th at Salem ’11, 12th Berlin ’11, 12th at Pocono ’12, 12th at Pocono ’10, 13th at Pocono ’09, 13th at Chicagoland ’09, 13th at Chicagoland ’11, 13th at Winchester ’11, 14th at Talladega ’13, 14th at Salem ’11, 14th at Kansas ’11, 14th at Mobile ’12, 15th at Daytona ’11 9, 14th at Pocono ’09, 14th at Pocono ’09, 14th at Daytona ’10, and 15th at Daytona ’11. Veteran of the NASCAR Camping World Truck Series with 6 career starts. 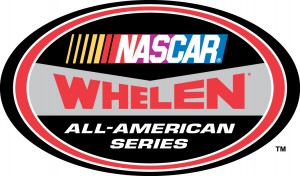 Also a veteran of Super Dirt Series Pro Stock division from 2001-present at Orange County Fair Speedway NY, Syracuse mile-dirt at the New York State Fairgrounds, Rolling Wheels Raceway NY and Lebanon Valley Speedway NY. Also veteran of pavement late models at Mountain Speedway PA 2008. Finished career-best 4th in points in Pro Stock Super Dirt Series in 2006. Also finished 5th in Pro Stock Super Dirt Series in 2007 and earned Hard Charger Awards in Pro Stock Super Dirt Series 2006 and 2007. Finished 2nd in track points in Pro Stocks at Orange County 2006. 2005 Pro Stock track champion at Orange County. Finished 2nd in Orange County track points in Pro Stock division in 2004 with 3 wins. 2001 Pure Stock Rookie of the Year at Orange County. Sean Corr finished 5th place at the February 09, 2019 Lucas Oil 200 driven by General Tire, at Daytona International Speedway.